Jacob Turner and Allesondra Straggi, at WSU College of Nursing Convocation in May, were among the first students to take advantage of a new direct transfer agreement between community colleges and state universities for RN-BSN students. Photo by Cori Kogan. A direct transfer agreement between Washington’s community and technical colleges and state universities that offer the RN-BSN degree helps nursing students move seamlessly from an associate to a bachelor’s degree. Community college students complete their nursing prerequisites, general education requirements and associate degree at any participating community or technical college, and are guaranteed that they have everything they need to apply to a participating RN-BSN program. While direct transfer agreements (DTAs) are common in Washington, the RN-BSN version was created a few years ago and has rolled out gradually around the state. WSU was one of the first universities involved, and its first RN-BSN students to come through the program from Spokane Community College graduated in May. Before the agreement, the length of time, courses and cost required to get an associate degree in nursing varied widely across the state, and prerequisite requirements between community college and university nursing programs often didn’t align. Students could graduate from community college with a degree in nursing, then have to take more prerequisites to get into a university. Under the direct transfer agreement, Spokane Community College revised its nursing program from seven quarters to six, said Cheryl Osler, associate dean of nursing. About 90 percent of students there are interested in going on to get their bachelor’s degree, and the direct transfer agreement gives them one more choice to do that, she said. Renee Hoeksel, a professor at the WSU College of Nursing in Vancouver and a member of the working group that drafted the direct transfer agreement, said the clear pathways it creates are more predictable for students and will improve patient care. “Everyone agrees that the higher the percentage of BSNs in the workforce, the better the patient outcomes and the more satisfied nurses are in their work environments,” she said. Jacob Turner is one of the WSU College of Nursing students who used direct transfer to enter WSU’s RN-BSN program from SCC. “I graduated from SCC in March, and summer semester started my BSN at WSU,” he said. 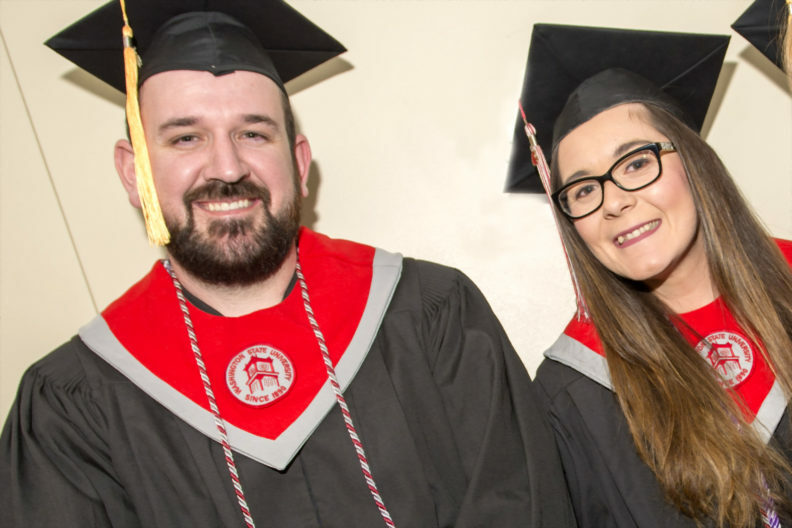 “The logistics of it, not having to go through the rigamarole of trying to make sure you have classes in this, that or the other – it was just a seamless transition from the ADN program to RN-BSN,” he said.